Time for a new Festive Friday challenge! 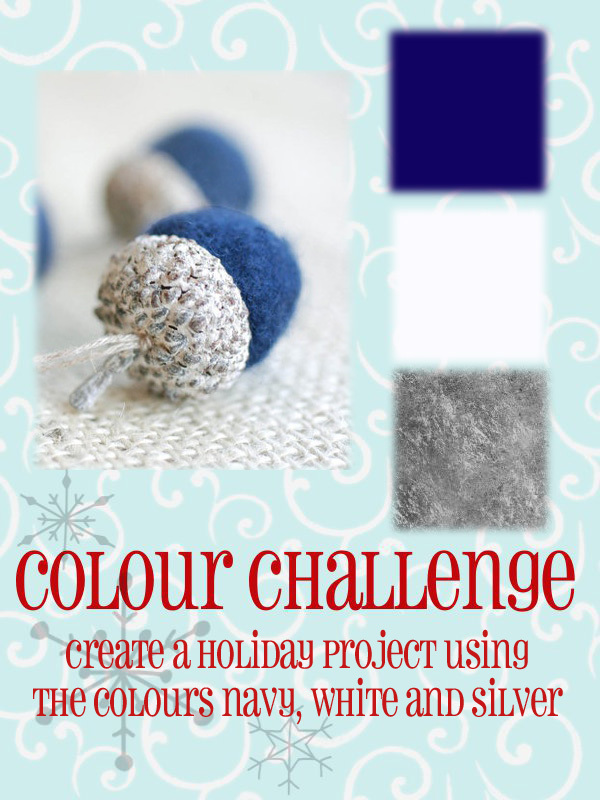 It's a colour challenge - navy, silver and white. When used for Christmas, these colours always make me think of the star in the night sky. I was inspired by Bev's apple card from last week's CASology challenge. I loved the off the edge focal point, and extended mine way over the edge. I hope you'll play along with this challenge - Christmas is getting closer and closer, you know - time to start stocking up on cards! Such a gorgeous card! 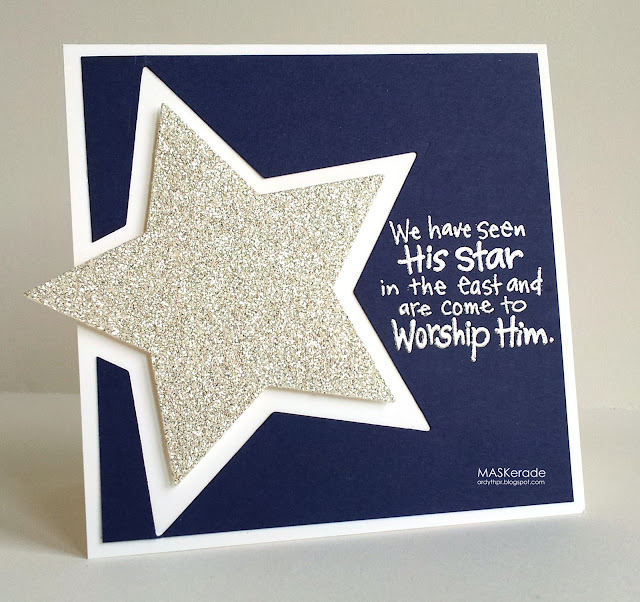 I love that glittery star and sentiment! I love the star and the sentiment and font are perfect. Wonderful silver star off the edge there - love the font on your wonderful Christmas sentiment! Just amazing, what a stunning card! Your sentiment is so perfect too. Love it. That is one fabulous glitter-tastic star! Love it! The off-the-edge design is so appealingly unpredictable! And yes, Bev's apple card was amazing! The silver & navy creates such a stunning contrast, especially with the sparkle and the silver embossing. This is so pretty and I love the sentiment - truly Christmas! Love this card!!! Love the sentiment! Just wonderful!